We offer a variety of different dog training options at SpiritDog Training. Just as every dog and his family are unique, the training needs of every dog owner are unique as well. 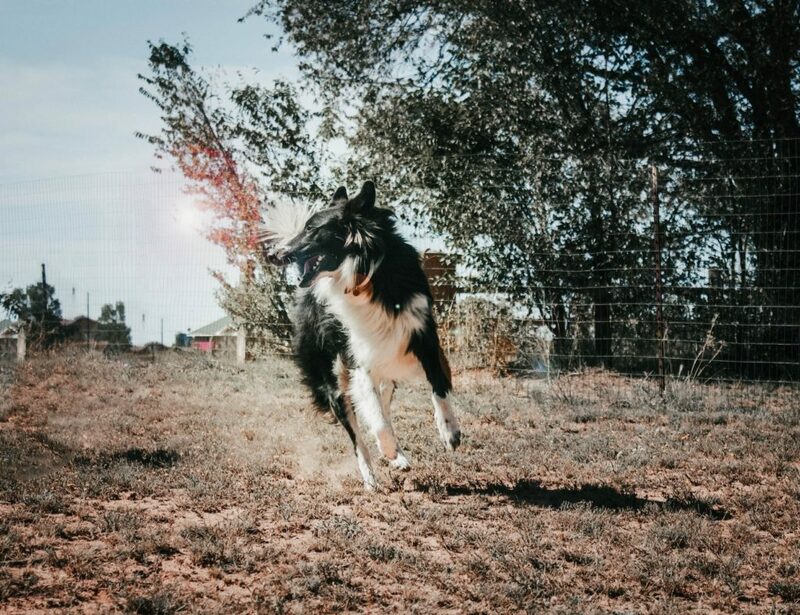 By offering the broadest spectrum of training options throughout Albuquerque, we hope to be able to provide you with exactly the training you and your dog are looking for! Please contact us to discuss the training options most suitable for your dog.We are committed to designing the best possible training program for you and him. We strive to bring out the best in your dog. Every dog has the potential to be a well-behaved, skilled and obedient companion. Let us help you to turn your dog into the best version of himself! You will be amazed at how much he can learn. Each dog brings talents with him that are just waiting to be discovered. We can not only teach your dog general obedience, but a variety of other skills – from trick training over dog agility to finding hidden people (man trailing)! Many clients start with us pursuing basic obedience and stay long after their dog has mastered his basic skills trying out a variety of other dog activities. Keeping your dog enrolled in classes and training programs will help him exercise and burn his energy in a productive way. Continuing training also will remind your dog whop is the most important and fun person around: You! Regardless of the training you choose, know that your dog is in the best hands. 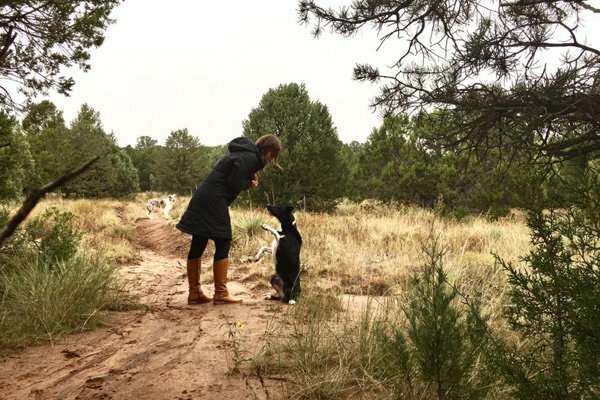 Our trainer Steffi has not only trained countless dogs in Albuquerque and around New Mexico, but also has taught hundreds of clients remotely through online dog training classes, as well as traveled to teach seminars as far away as Germany. Steffi not only trains clients’ dogs, but continually strives to improve her own training skills. She has three dogs of her own that have reached very high levels of training. 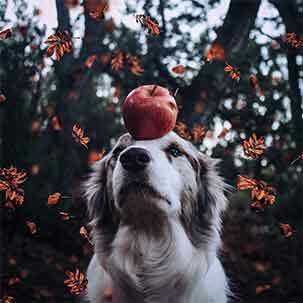 She has experimented with training her own dogs in conceptual training such as counting and imitation and succeeded to teach her Border Collie to count up to 4. Steffi pursues advanced clicker training as well as competitive agility. Our trainer believes that in order to be the best possible teacher, one must never stop learning! Our approach to training is positive and reward-based. We do not promote the use of punishment and fear-based training methods, including tools designed to cause discomfort to the dog such as prong, choke or electric collars. Instead of utilizing intimidation, we strive to build a team between dog and handler and develop effective communication between them. We teach every owner how to best communicate with his dog by understanding how dogs learn and what drives their behavior. Many common behavior issues (whether in puppies or adult dogs) can be solved by changing where the dog finds reinforcement for his behavior (for more information, read The #1 Question to Ask when your Dog is Misbehaving). We take a holistic approach to dog training and behavior modification. Behaviors rarely occur in isolation, and getting to know the dog, his environment and family is an important aspect of designing a training program suited to him. You will not find our dog trainer using a cookie cutter approach to providing your dog’s training needs. Instead, every dog and owner are seen as the individuals they are. For us the joy of dog training and helping owners lies in providing them with the solutions that work best for them. You can expect assistance and guidance in all aspects of dog ownership – from choosing the right feeding schedule for your puppy over help in determining his grooming needs to developing an exercise plan to keep him fit and healthy. Our program does not stop when we gave you training advice. We like to support you in all aspects of living with your dog to help you and him live together as joyfully as possible. Most clients decide for a combination of either private lessons and group classes or private lessons and online classes. While we do work with dogs that show reactivity towards people and other dogs, these dogs can unfortunately not attend our group classes. Several attendees of our group classes have dogs that previously were reactive themselves and worked hard to help resolve it. While these dogs show great improvement, it would not be fair to them to expose them to a dog that reacts aggressively. If you have a reactive dog, we are happy to have him join our group classes once the reactivity has been decreased in private training sessions. Did your puppy recently join your family? Are you overwhelmed by all the things you want and need to teach him – from potty training over walking well on leash to greeting strangers politely and being friendly with other dogs? It is much easier to train a little 2 month old puppy than to wait until he is physically strong and mentally confident at 10 months. The earlier clients come to me with their puppies, the quicker the dog usually improves. This has a simple reason: The less time the dog has to rehearse unwanted behaviors the better. It is much easier to train a puppy to behave well from the start than to try and undo months of bad behavior that has been ingrained. Adolescent dogs that misbehave have had plenty of time to practice their bad manners. If you have a puppy, start training him as soon as possible. Do you have an adult dog that needs to brush up his obedience skills and manners? Is your dog reactive or fearful? Do you want to get him started in a new activity without having to adhere to class schedules or wait your turn in group classes? Private sessions are a convenient option for training your dog as quickly as possible. We can usually schedule a lesson within 72hrs from the time you call us. We know that a dog that misbehaves is not a matter that can wait too long! The sooner we get started the better. In dog training it is definitely advisable to hit the ground running. Most owners start out with weekly or twice-weekly private sessions that then taper off over time as the dog improves and needs less and less intensive training. Private sessions are an investment not only into your dog right now, but into a joyful future life with him. To make this training as convenient as possible for you our trainer will travel to your house for the training. As the dog progresses, he might also train at other locations, such as public places in Albuquerque to practice his social skills (Albuquerque Dog Training Destinations). Private training is not just about solving problems however. Many clients choose to pursue private lessons as a regularly scheduled activity with their dog. We can train your dog in many different skills. Dogs are very capable learners and the sky is the limit when thinking about new tricks or behaviors to teach them. If your schedule is busy and your dog needs consistent training, this option will be the quickest and easiest solution. Preferred by clients in demanding jobs as well as families with children, our trainer will come to your house and train your dog for you. If your dog has a behavioral issue that needs a specific solution and is prone to handler-errors, having our dog trainer take over the training completely can also be the best way to go. It is possible to continue day training as an on-going training program if you would like to keep your dog physically exercised and mentally challenged. Some owners choose to have our trainer visit their dog once or twice a week to continue teaching him new skills or keep his obedience and social behavior up. If you have a busy life with no time for weekly dog training maintenance, this is the option for you. Group classes are the bread and butter of dog training. You will find ours to be quite different from other group classes around Albuquerque: Our class sizes are very small (no more than five dogs in a one hr class) and provide plenty of individual feedback. A group class for us is not a lecture – it is the opportunity to improve your dog’s skills among other like-minded people! We highly encourage a welcoming and friendly atmosphere in the classes. We regularly have get-togethers of group classes with long-term clients, such as potlucks or BBQs. Group class members are each other’s companions on their dog training journey and often share surprising insights and helpful tips with each other. We offer training in the very popular sport of dog agility. Everyone who has watched a dog and his handler move effortlessly on a dog agility course has imagined themselves in this position with their own dog. Now you can get there! Beginners in agility advance very quickly and are able to run little courses consisting of tunnels and jumps after only a few sessions. Dogs love this activity, as it combines many of their favorite things: running, eating treats and playing with their handler! Agility is a great controlled energy outlet for young and wild dogs. 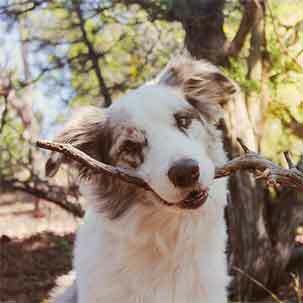 But also older dogs benefit from the mental challenge that agility provides. We take a conservative approach to injury-prevention in dog agility. Dogs start out with very low or no jump bars and gradually learn to jump safely over higher obstacles over the span of several months. We make sure that dogs are secure and coordinated before letting them navigate the dogwalk or A-frame high off the ground. Our fully equipped agility field in Cedar Crest is found only 15min from Albuquerque. The location in the East Mountains provides us with slightly cooler weather than the city of Albuquerque year-round, which is especially convenient for lessons during the summer months when Albuquerque is too hot for training during the day. The footing of mulch is dust-free and soft. The potential of online learning has only started to be discovered in recent years. Just as universities are expanding their classes to everyone with internet access, dog training is also branching out into these realms. Since dog training is a skill that is best learning by first watching someone else and then doing it oneself, video lessons have proven to be a very effective way to teach owners and dogs. Our online classes provide training for all levels, from basic skills like fetching to advanced mental games such as teaching your dogs to count. We are different from other online dog training courses in that we let our clients keep access to the videos forever – once purchased, you can watch the videos over and over without any time restrictions. This makes our online dog training especially appealing to everyone who has a busy work and family life. Don’t worry about missing a week of training or being left behind in a group class because you had too much going on to practice. Our online classes can fit any schedule. Whenever you have a few minutes, watch a video and train your dog. It is easy, simple and most importantly fun! Have you found us online, but unfortunately are not in the Albuquerque area to see our trainer in person? You can still train with us. We offer long-distance coaching for our dog training clients. This can be used for getting input and a plan of action for your dog’s problematic behavior such as leash pulling, barking or fearful tendencies. If your dog has one specific problem, our trainer will after the initial consult usually choose to write up an extensive plan of action and send it to you. This way you can always go back and revisit the recommendations for your training. If your dog has more complex behavioral issues we will probably communicate through different channels. This can e.g. be a phone call for the first discussion, a long instructional email from our trainer and then you may send us videos of your dog’s progress. But not only “problem dogs” benefit from long-distance coaching. Some of our long-distance clients utilize the training for trick instructions or advice for other dog sports. Do you live far from Albuquerque, but want our dog trainer to come to you? No problem. She has traveled as far as Germany to teach seminars and will come to your training facility to teach. Get in touch with us to book our trainer Steffi for your dog training seminar!